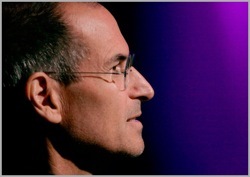 Jobs, dots, and one amazing Apple. 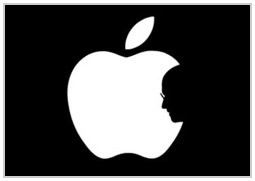 The profile of a true innovator of our times, it is really sad news to hear that he has left us. There is no telling what else would have been created if he had more time here, and what modern advances he would have led us to in order to simplify –as well as enhance- our lives through technology. What he did leave us with are not only some really incredible products, but the seed of new standards of excellence and developments in a world where instant gratification is seemingly the end goal; there is so much more to our lives than just that – and he definitely blazed trails in brilliance -which takes time, patience, perseverance, and a bit of brow sweat. These are the kind of people who we never really expect to lose, and it is always a shock to me – as if they are supposed to just go on living forever, like some kind of MacBook machine or something (well, I was shocked anyway); it’s somewhat surreal, and I am definitely saddened by it. Thank you, Mr. Jobs, for some of the most amazing tools, toys, innovations, and ideas that you have passed on through your genius. You will continue to be an inspiration to more people than we will ever know; you will not be forgotten.